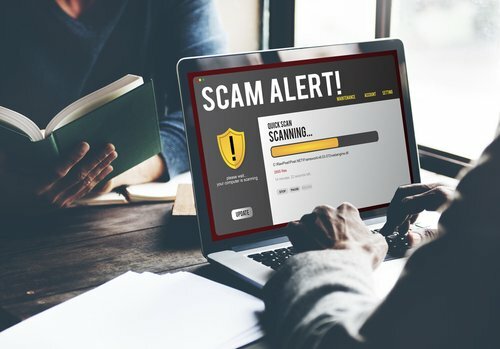 Due to the rise and advancements being made in technology, scams are becoming more and more prevalent. Scams today target your money as well as personal details, so it is important to understand how to spot a scam online to protect yourself. First of all, you need to understand that anyone can become the target of a scam. It doesn’t matter what your age, income, or background is. Therefore, you should be alert and don’t think that you are safe from falling victim to a scam. Documents. These can be easily forged and faked especially when they are sent to you online. Watch for small details like the greeting, the name of the organization, and the overall appearance of the documents. If it is generic, from an unknown company, or the document looks poorly made, it may be a scam. Email. It is easy to fake an email as well and make it look official. However, be mindful of which email you open because it may look like it is coming from a legitimate source. If you were not expecting an email, then be alert about which links you click on and what attachments you are opening. Profiles. Online profiles are also faked, and the scammers often use photographs they find online to create these accounts. If you are unsure, do a Google image search of the photos and this can help you determine if they are who they say they are or if they are trying to scam you. Remember, online scams are easy to do and can sometimes be hard to avoid if you do not stay alert. Company logos, photos, and other information can be taken from online sites and used to create emails, profiles, and documents that look legitimate and may cause you to let your guard done. Always be mindful and protect your personal details and never click on pop-ups or links if you don’t know where they came from.